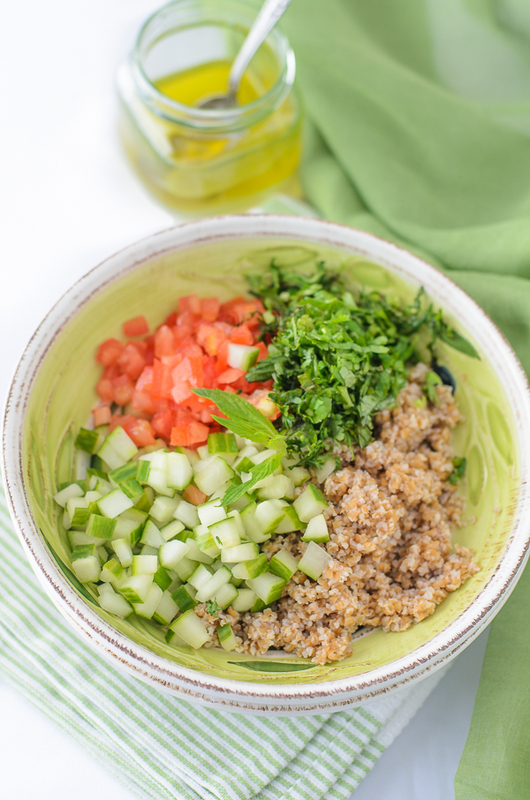 Fresh to the land of OZ, I was smitten with this Middle Eastern salad named ~ Tabouleh. I am pretty sure whoever behind the counter could hear me say "Tak Boleh" which is a malay word for cannot, or unable. So lets leave it as that.... You can't teach old dog new trick! Soak burger wheat with cold water for 2 hours. Strain and squeeze out as much water as possible. Dice the lebanese cucumber (discard the centre with seeds). Diced tomatoes (discard the seeds). 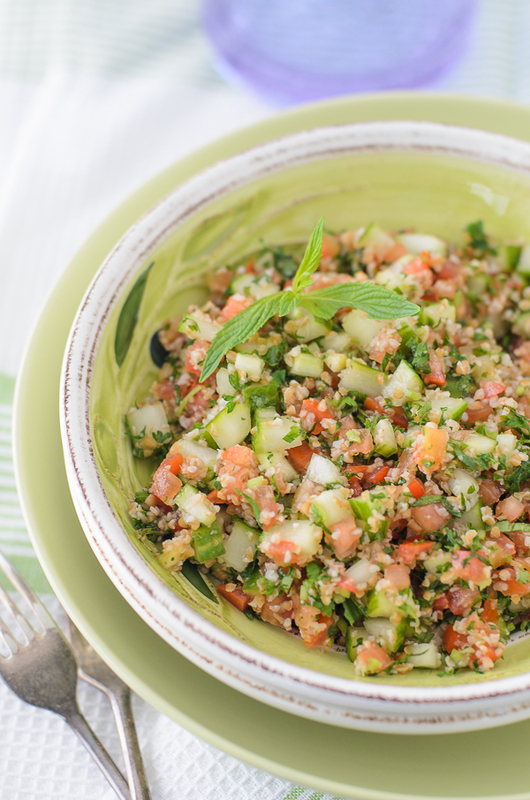 chopped parsley, coriander and mint. This looks SO FRESH and delicious! Yum! It looks so refreshing and delicious! It looks so simple yet so delicious! Thank you , Lisa, for the recipe and the beautiful photos! 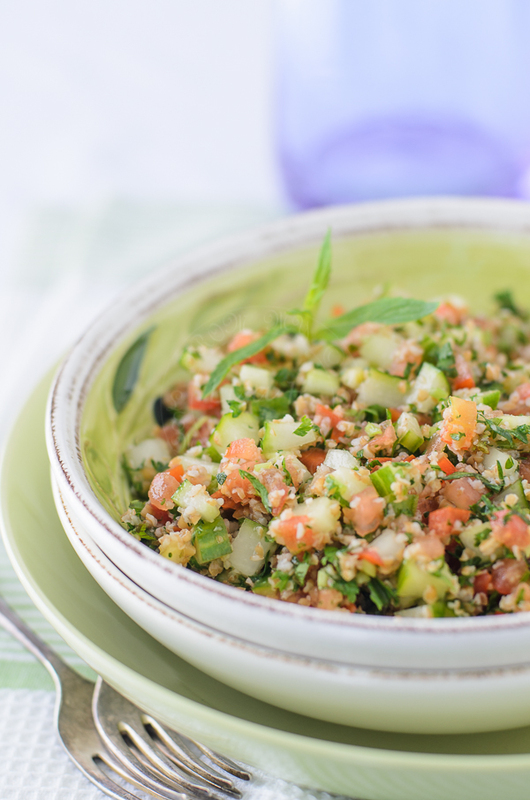 I love tabouleh. So simple and delicious! This looks so refreshing! And I'm loving the simple ingredients. Pinning! !